Our team of professionals can assist with designing, installing, and maintaining your industrial storage, weapon storage, or material handling systems. Our experienced team of installers work closely with our dedicated project manager as well with the client in order to assure them of a successful project. They will schedule the equipment installation around your unique requirements and ensure complete satisfaction with the end results. Our installation team is factory trained, forklift certified and fully insured. 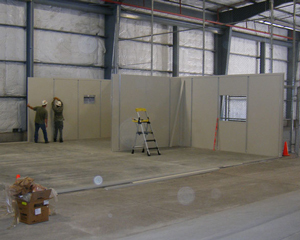 We can manage small or large storage system installation projects. Our services include project planning, managing product deliveries, installation, utility services, and disposal of old material. For examples of completed projects, please visit our Portfolio. 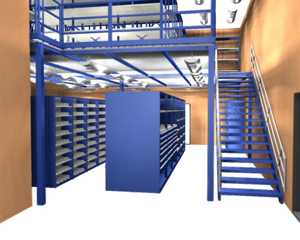 ​​We use CAD and other software applications to create drawings and 3D renderings to help visualize how our industrial storage products or other solutions will look in the customer's facilities or armories. These graphical representations are also helpful when purchase decisions require selection of alternatives or higher level approvals.